Start taking classes at YogaFit and other studios! 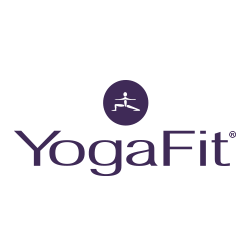 YogaFit blends balance, strength, flexibility, and power in a fitness format delivering a practical, user-friendly style of yoga. Their classes are accessible, empowering, and achievable. At YogaFit, yoga and fitness are for everyone! You’ll find both heated and non-heated, live and on-demand, accessible, empowering yoga and fitness classes. If you're looking for a fulfilling workout that ignites your body and mind, you've come to the right place. Located in the Red 20 building between 1st Ave NE and Central Ave and across the street from Red Stag Supperclub and Denny Kemp Salon Spa. Free parking is available in the Red 20 commercial parking spaces and on the street where noted. Metered parking is also available. Love Katelyn! I was def sore after this class. Great workout. Thank you so much for sharing your feedback. Do you recall which day and time you took this class so we can check our schedule and also support the teacher. I would love to give you a free class to make up for this experience. You can email me anytime to get a free class - thank you so much! Lisa is amazing! Incredibly skilled, motivating, kind, and inspiring. I look forward to her classes because I know they will push me out of my comfort zone yet also allow me to feel refreshed and at peace. Thank you! Not yoga, but an intense, lunchtime workout using some yoga moves. Nicola is the best! She balances pushing you while making sure you are listening to your body. I love starting my Saturday mornings off with her. The actual class was wonderful. A very relaxing hour filled with 3-5 min holds of various poses that really provide a good stretch. However, no one welcomed to the studio, gave me a tour of the studio or even said hi when I walked in. It was hard to tell who even worked there as no one was sitting at the front desk and it felt like I was expected to automatically know how to check in and where things were. This being my first time coming to the studio, I was unimpressed with my welcome. Once I got past that, the actual class was just what I needed. Thank you so much for sharing your feedback. Do you recall which day and time you took this class so we can help support this teacher. I would love to give you a free class to make up for this experience. You can email me anytime to get a free class - thank you so much! Was with Melissa, not Jen. This was a fantastic class and the instructor was great. I had never heard of Yoga Fit and thought I would give it a try. In the states today yoga has become a very cooperate and fad oriented business model. When I went to the north east location I was sort of regretting coming because of the traffic and parking, but once I was in the class and the instructor was doing her thing and breaking the CorePower mold of yoga I was into it. It was a great change and I think people should really consider this company and it’s instructors for their next class.